Discussion in 'UFC Discussion' started by HateTheGame, Jul 31, 2016. Do you really think that GSP was scared of Robbie Lawler? BigGucciSosa, ortizgnp, The-AxeMurderer and 7 others like this. Chitaouri, Bmurray, HUNTERMANIA and 1 other person like this. GSP and yourself are in close communication, huh? fortheo, Miesha, WouldNotBang and 2 others like this. cmw43, Bmurray, HUNTERMANIA and 1 other person like this. moreorless87, Bmurray and WendalClark17 like this. Some Lawler fans actually believe(d) that. ortizgnp, runnpray and sirmorbach like this. 4) Georges St-Pierre as a name itself already says enough. beephin and Miesha like this. Good username you've got there then. Epic Fail. That's not MMA math, that' GSP recognizing the Alpha Hunter. MastiffMike, WouldNotBang, Miesha and 2 others like this. I don't think GSP was/is afraid of Bob Lawler, I think he just saw/sees Bisping as a fight with lower risks and higher rewards (money). GSP is not coming back. And I don't think Robbie was the only guy he was scared of, but one of them. Really, GSP retired at 32 years old because he didn't want to lose. 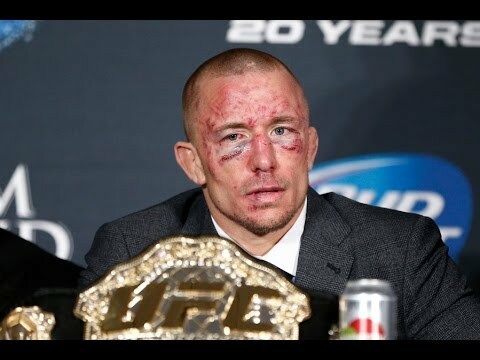 Could gsp beat some of these guys, sure, but he could also take a beating like he did in his last fight. Don't forget that Hardy, Koscheck and Shields also wiped the floor with GSP, smart guy. Miesha and danny23 like this.